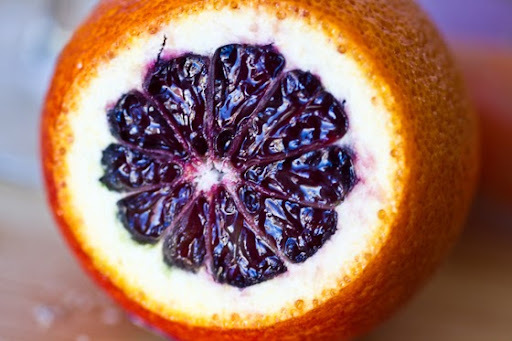 blood orange (the only salad ingredient not from the Greenmarket)..
Poppyseed Dressing. I love making my own dressing, but I'll admit I've also fallen in love with a few bottled brands over the years. 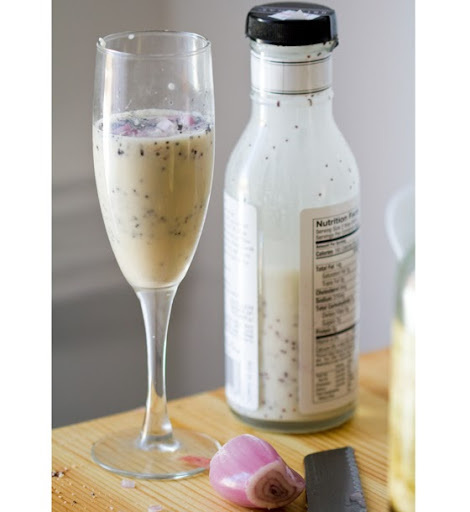 For a while I was obsessed with Annie's Goddess Dressing. Then I fell in love with Zesty French dressing. Then there was my love of all things 'Balsamic Vinegar/Oil' and then tahini dressing. 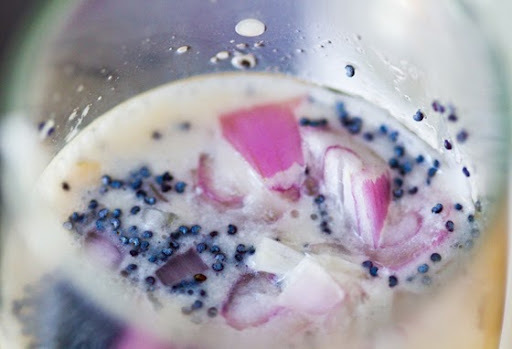 Then I moved on to Brianna's Poppy Seed Dressing. Sweet, light, creamy. So why not make it myself!.. 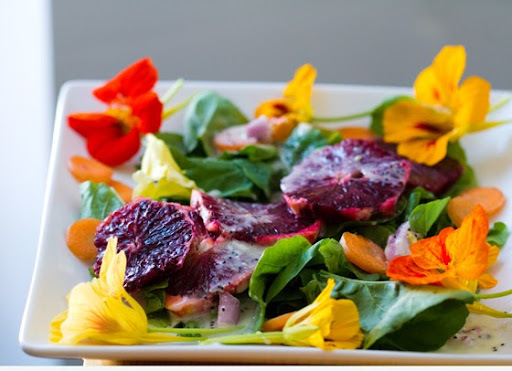 Farmer's Market Salad with fleurs. 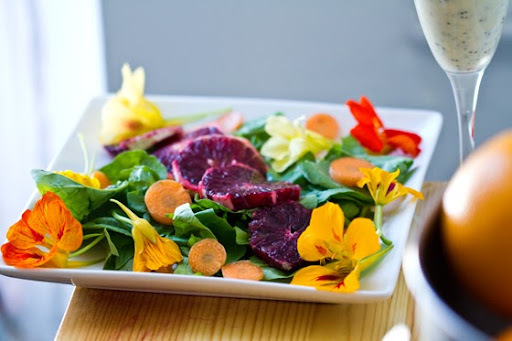 This entire lovely spring salad is created from goodies picked up at the Union Square Greenmarket here in NYC. It's amazing the difference in taste and texture between even the best store bought salad brands and farm fresh greens. These greens were so good I literally could eat then like chips - by the green handful. I also picked up these spicy/flavorful edible flowers at the market. 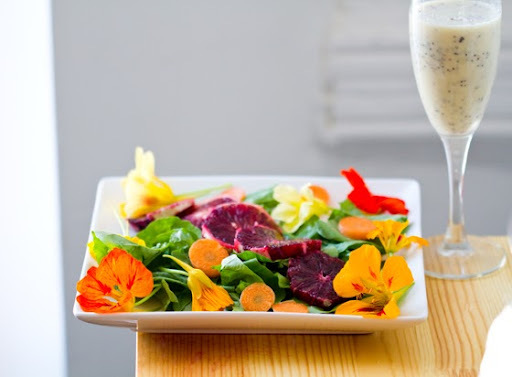 Edible flowers on salads are like the 'cherry on top' of ice cream sundaes. a perfect lunch!.. 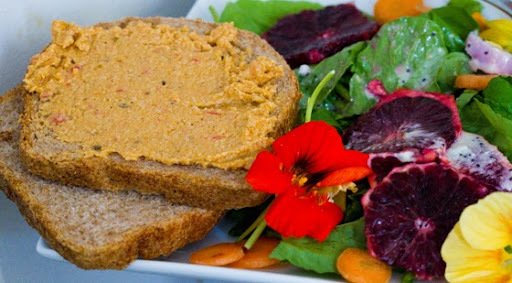 (added spelt bread with sun dried tomato hummus)..
A few popular edible flowers varieties.. Squash Blossom – Sweet, tender. Perfect for stuffing and frying. Filled with your favorite cheese or bean spread. Very seasonal and regional. Rose – usually used as rose extract, but some varieties of rose are edible. Sweet, bold, strong aroma. Lovely in desserts. 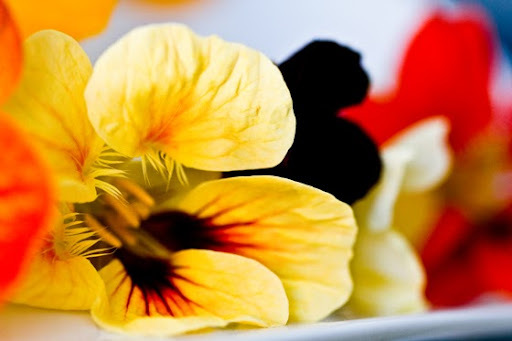 Pansy – Popular edible flower for salads and spring soups. Mild to spicy in flavor. Tender and delicate to bite. Honeysuckle – you may have sucked on sweet, honey-smelling honeysuckle flowers as a kid. I know I did! But you may not want to eat these flowers. Honeysuckle berries are not edible. Dandelion – buttery, nice seasoned and boiled. Chamomile – classiclly known for brewing a lovely calming tea. 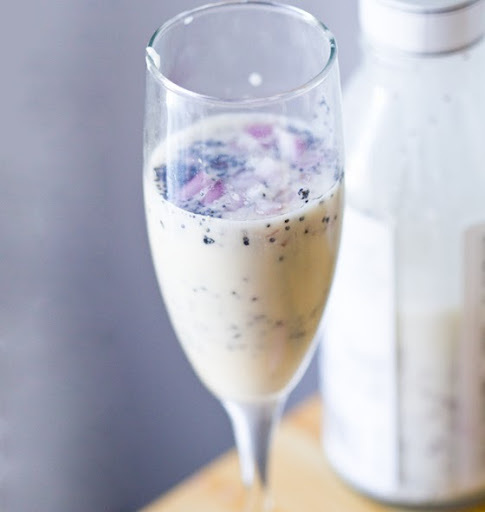 Try this Calm Chamomile smoothie! Saffron - known and loved as “the most expensive” spice on the planet. Saffron is the stigmas of the crocus sativa flower. *Always make sure your are buying truly edible flowers from a trusted vendor. Only experienced gardeners should pick and chew from their own garden. 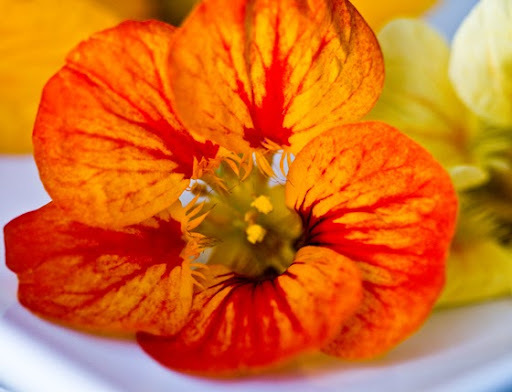 Learn more about edible flowers. Wisk all ingredients very well - I used a mini foaming wand to blend well. A small beater would also do the trick.